It looks as though there’s good news at last for Verizon Galaxy Nexus owners who have waited far too long since the last OS update and are several updates behind other devices. A few days ago we told how Verizon’s support account on Twitter had tweeted that an update was coming soon for the Samsung Galaxy Nexus. At that point we had no way of knowing if it would be the next in the line of missing updates or would skip to Android 4.2.2. Jelly Bean but it now looks as though it will indeed be the latest 4.2.2 update. Many of you will be familiar with the work of XDA Developers and one long-standing member, El Madhatter, has previously come up with early builds for the Galaxy Nexus on Verizon. Today he was contacted and asked if his Galaxy Nexus had received 4.2.2 (Build JDQ39) yet and he verified that he had received it this week and also sent a screenshot as backup. The fact that 4.2.2 is now in the hands of testers is a very promising sign that the update will release for other Galaxy Nexus on Verizon owners in the near future. One more piece of information was gleaned as it appears new radios FK01 and FK02 are also listed under the system update information. El Madhatter has created an XDA thread (link below) where you can follow developments and see if somebody manages to grab the file from his Verizon Galaxy Nexus. While we’ve been following the sad lack of updates for the Galaxy Nexus on Verizon we’ve pointed out that many owners of the device have had every right to become frustrated, as they’ve mentioned in comments to our stories. Hopefully though, this latest news may be a consolation as it looks very much as though the next update may bring their device totally up-to-date and another source has also reinforced this. Are you the owner of a Verizon Galaxy Nexus? Are you reassured that 4.2.2 Jelly Bean is heading your way soon? Maybe you’re still irked by the fact that your handset has lagged so far behind in Android updates? Let us have your comments on this. Does this mean that Samsung will be in charge of future updates, like they are on this one? From what I understand is Samsung is the pushing force behind the update and Verizon is just sitting back and pushing out the update… Maybe we will get Keylime Pie on time? any estimation of the time frame? just close your eyes and dream…then when you open them add 3 months to when…that should be close. I have had Verizon since the beginning…after my contract is up, I’ll be dropping them. No excuse for this total lack of customer service. I will believe this when it happens. I have been one of the most vocal irritations to the Verizon Wireless technical support team (they know my phone number, believe me!) At this point, I wouldn’t care if next week they updated my phone to Key Lime Pie! When my contract is up in October, I AM LEAVING VERIZON WIRELESS! It’s not just the lack of updates, it’s also the lack of CONSIDERATION! There is NO excuse for Verizon not keeping it’s customers informed as to the status of these updates. If there is a problem, say so. We are adults and we can take it. I’d much rather have a phone with the older operating system that works than have the latest updates and not be able to make a call. With that said, Verizon should let us know why we are not getting the update. Lack of that consideration says to me Verizon thinks they are Tech Gods, and we are the lowly peasant people and “we’ll get it when Verizon says we’ll get it!” Well, Verizon will get my business when I say they’ll get my business (which is never). 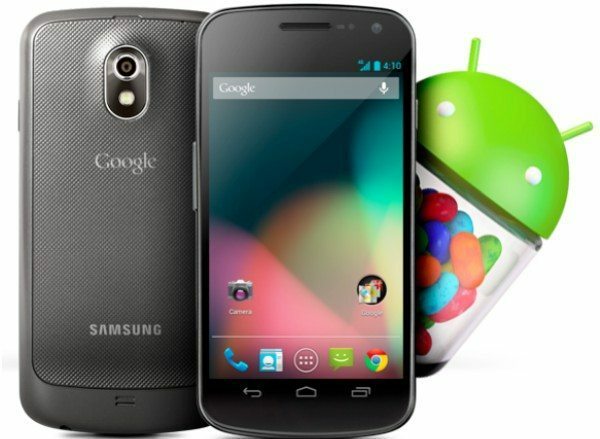 Come November I’ll be on AT&T or T-mobile on a pure Google phone and I suggest every other SG Nexus owner do the same. Hit Verizon where it hurts, in their wallet! just got S3 update today to…..4.1.2 on verizon not 4.2.x. just thought you should have real world verizon update experience data on here.